Updated at 11:05am EST: Good news, EA has debunked this rumor! 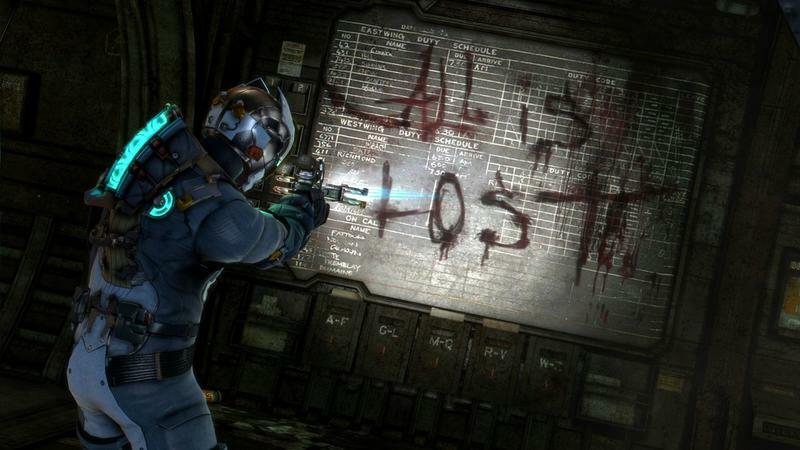 "Rumors about poor Dead Space 3 sales and an unannounced Dead Space 4 being cancelled are 'patently false,' EA tells us. Spread the word!" Hopefully EA's claim is legit. Updated at 3:15pm EST: EA has reached out to us with an official comment debunking the rumor. Original story: A new and disheartening rumor is floating around today that EA has put a hard stop on the potential Dead Space 4 that was reportedly being worked on by Visceral's Montreal office. The news comes from VideoGamer.com as they have an undisclosed source with close ties to the project. Dead Space 4 was in pre-development; however, EA has supposedly shut down work on the project as a result of poor sales for the recently released Dead Space 3. VideoGamer notes that EA Labels boss Frank Gibeau said that Dead Space 3 needed to sell five million copies in order to be a success. That's the world we live in, gamers: if a big title can't hit five million sold, it's a failure. That's scary, scary stuff. None of this has been confirmed, but it's all feasible given how ever-changing EA has been with the Dead Space series. What was once an extremely tight survival horror game, Dead Space slowly became a project developed by Visceral Games and focus groups. That doesn't bode well for the franchise's immediate future. We'll have more on this as it comes. Hopefully, EA will refute the news and Dead Space 4 will still be a potential thing.